As you’re sitting on the couch with your GW diploma hanging on the wall, the phone rings. On the other end is an excited freshman who updates you about what has happened on campus since you left years ago, and with a fellow Colonial on the line, you talk about what the University was like back in 2012. The conversation reaches a lull, and the student pops a question. Most don’t. I spent three months working at Colonial Connection, the University’s student call center, my freshman year. Often I would work for multiple hours and only speak to one or two alumni. My starting salary was $10.50, and sometimes I would earn more money than I would bring in. Many people would hang up after I introduced myself, and most wouldn’t even answer the phone in the first place. GW graduates are becoming increasingly less likely to give back to the University through cold call fundraising, according to recent data from the Office of Development and Alumni Relations. And the earnings of Colonial Connection have dropped 30 percent in the last year. Employing more than 50 students for 20 hours every week to make phone calls is a waste of the University’s resources. But online giving has increased by 75 percent, and cold calling is rapidly becoming an obsolete form of fundraising. By cutting back on cold calling, the University could alter its efforts in connecting with the growing body of 250,000 alumni by expanding outreach efforts to solicit funds online. To retain student involvement in fundraising, current Colonials could help the Division of Development and Alumni Relations create a stronger social media and web presence that caters to younger alumni who may be more inclined to give online. Sure, the callers who do reach someone on the other end of the phone can reel that alumnus in with stories about their time on campus and how much they love GW. But the reality is, there is a dwindling number of individuals who even use landlines, which likely consists mostly of older generations of alumni. It is impractical to try to get all donors, especially those older generations, to begin giving online. 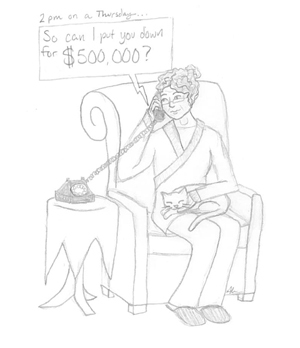 It might make sense to maintain a small phone calling operation specifically for elderly donors, and to inform alumni of special events that are happening on campus. But if the University wants to connect with its alumni and raise money, it needs to acknowledge that the efforts of Colonial Connection would be better applied elsewhere. The alumni of the University are changing, and the University needs to change with them. 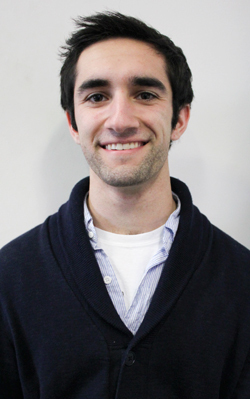 Jacob Garber, a sophomore majoring in English, is a Hatchet columnist.